The paper provides a first quantitative estimate of the potential number of people and value of assets exposed to coastal flooding in Dar es Salaam, Tanzania. The study used an elevation-based geographic information system-analysis based on physical exposure and socio-economic vulnerability under a range of climate and socio-economic scenarios. It particularly considered a worst-case scenario assuming even if defences (natural and/or man-made) exist, they are subjected to failure under a 100-year flood event. About 8% of Dar es Salaam lies within the low-elevation coastal zone (below the 10 m contour lines). Over 210,000 people could be exposed to a 100-year coastal flood event by 2070, up from 30,000 people in 2005. The asset that could be damaged due to such event is also estimated to rise from US$35 million (2005) to US$10 billion (2070). 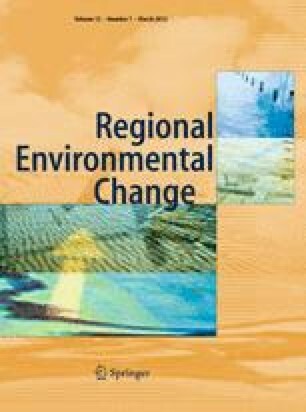 Results show that socio-economic changes in terms of rapid population growth, urbanisation, economic growth, and their spatial distribution play a significant role over climate change in the overall increase in exposure. However, the study illustrates that steering development away from low-lying areas that are not (or less) threatened by sea-level rise and extreme climates could be an effective strategic response to reduce the future growth in exposure. Enforcement of such policy where informal settlements dominate urbanisation (as in many developing countries) could undoubtedly be a major issue. It should be recognised that this analysis only provides indicative results. Lack of sufficient and good quality observational local climate data (e.g. long-term sea-level measurements), finer-resolution spatial population and asset distribution and local elevation data, and detailed information about existing coastal defences and current protection levels are identified as limitations of the study. As such, it should be seen as a first step towards analysing these issues and needs to be followed by more detailed, city-based analyses. We are thankful to the Global Climate Adaptation Partnership (GCAP, Oxford) which allowed this paper to be produced. The work was undertaken as part of the ‘Economics of Climate Change in the United Republic of Tanzania’ study, led by GCAP together with the Stockholm Environment Institute (SEI) and funded by the development partners group with funding from UK (DFID) Government. The full study is available at http://economics-of-cc-in-tanzania.org. We also gratefully acknowledge the comments of Ms. Susan Hanson (University of Southampton) on earlier versions of the report.